Someone expressed their excitement about hearing more about Caregiver Kits, and of course, I'm happy to oblige! 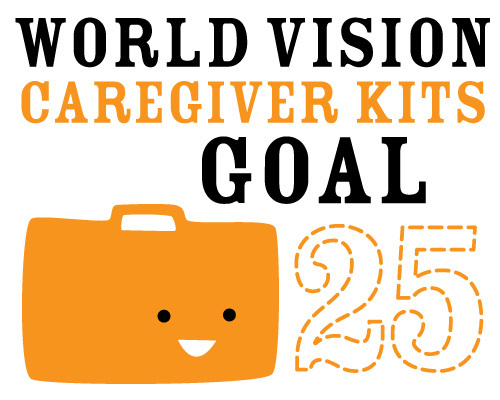 Caregiver Kits is one of many amazing projects that is done by World Vision. The idea is simple, but far-reaching. Around the world, in many of the poorest countries, there are millions of people suffering from HIV or AIDS. These people often receive no care, making their condition worse. Theirs is a life without hope. 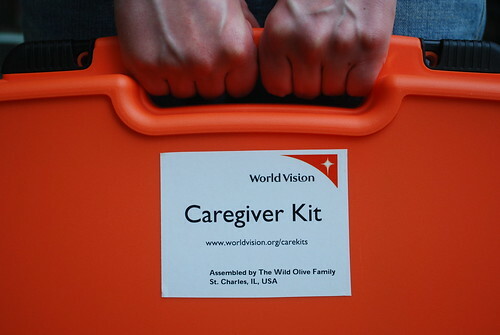 Caregiver Kits equip people who are bringing hope. 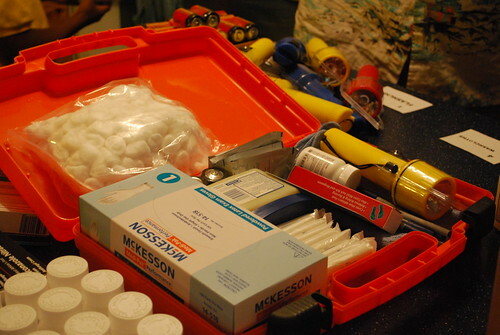 Each Caregiver Kit contains basic medical supplies which are given to a Caregiver. These specially trained family members and volunteers treat AIDS victims, while preventing the spread of infection. They also provide emotional and spiritual support. Kits include latex gloves, cotton balls, soap, medications, petroleum jelly, a flashlight, and more. 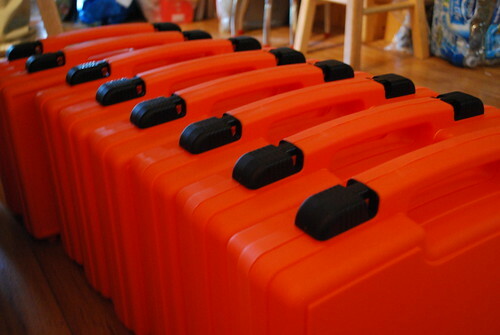 World Vision allows for purchasing items and putting together individual kits and sending them in, or you can buy supplies in bulk and assemble them. This is what I do when raising money. After October is done, and I know how many Kits we're putting together, I call and order everything. Then when the supplies arrive, my family and I assemble them and ship them off. I especially love when my young siblings help, because I think it's important for even little ones to do service projects. Which brings up an idea I had. 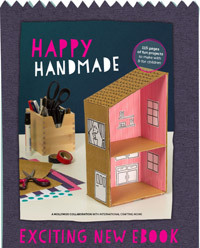 How would you like to make a Caregiver Kit that your kids (or a child you know) could play with? So that they could "act out" caring for others? If this sounds like something you might enjoy, I'll post tutorials throughout the month for making a soft play Caregiver Kit. It'll be fun! Now about today's start of the fund raising project. 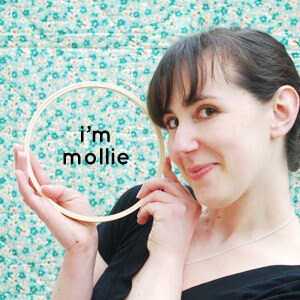 The day isn't over yet, and already we have 1+ kits funded! Thank you to those who jumped right in! 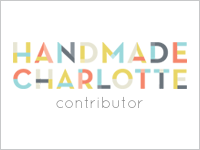 I have confidence that this will be growing, so if you would like to support the project, you can make a purchase from the shop, or sponsor the blog anytime in October. 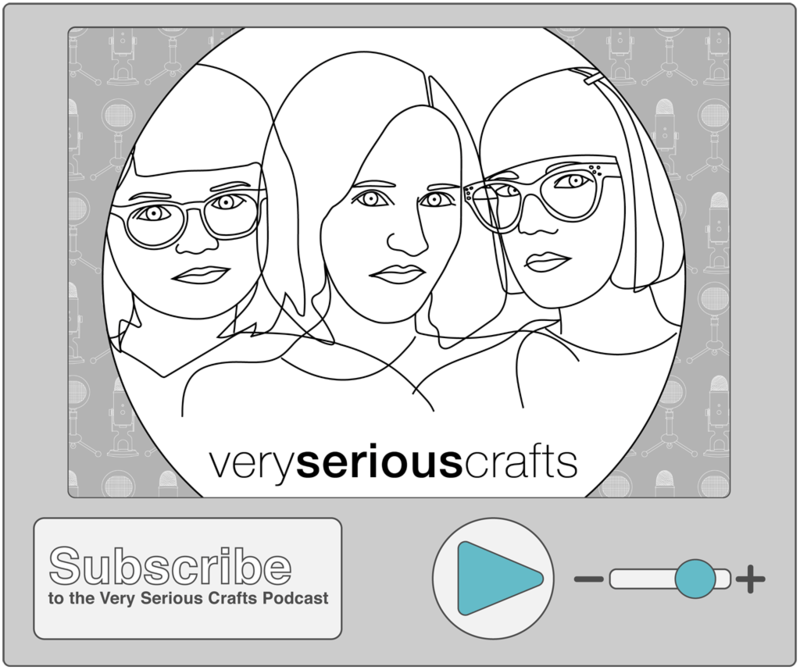 And be sure to watch the counter in the right sidebar to see the progress we're making! 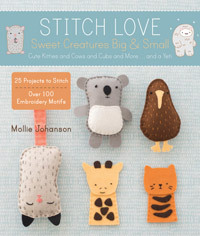 I think a soft caregiver kit for the little ones is a great idea!